In stark contrast to the babies at Larkhill it was a truck full of advanced horses which set off to Weston Park early on Sunday morning. Weston is a funny event… it seems to exist in a sort of time warp where everything is slightly old fashioned and they do things in a funny dont-quite-make-sense way at times! An example of this is the way they ran the intermediates, then swopped to the advanced and then went back to the intermediates in the afternoon which made for what Jonelle described as “the longest days eventing EVER” which did not impress the team! Jonelle had a cracking day with two wins from three rides which must have made the drive home a little sweeter. Cloud Dancer (Marley) did his thing in the dressage and impressed all and sundry to lead the class on a 22.5. He then really dug deep ( literally) in the showjumping which was boggy to say the least which made it a tough track and came home clear. So then Jonelle let him bowl on cross country to take the lead with some 5 points clear of her next rival which turned out to be fellow Kiwi Andrew Nicholson! Cooley Showtime ( Eddie) wasn’t far off the lead in his section after dressage either and he also pinged around the showjumping for a rare clear ( of the day, not a rare clear for Eddie!) and then had a ball cross country and despite picking up 12 time was also in the winners enclosure. There was no way that Eddie was going to let Marley take all the credit for the red rosettes on the way home for sure. Kindred Spirit was in the same section as Eddie and although he would not rival him on the flat he did a workmanlike test for a 34 and just picked up 4 faults in the showjumping. He is a cross country machine and ate up the track as always and ended up in 6th place which was a great result. Tim, meanwhile, was swopping from Intermediates to advanced and back again which he blames for his course error in the dressage on Kentucky bound Xavier Faer ( Hugo). Despite this he still scored a 26.3 which is impressive in the advanced arena and he backed that up with just 4 faults over the poles. He then went round the advanced in super cruise mode to pick up 12 time and ended up on 11th. Tim was delighted with him and whilst he will probably dressage and showjump at Burnham Market he may not run cross country again before he crosses the pond. Bango ( Uno) also did a relaxed test in his advanced section for a 26.4 and he also rolled a pole. Tim’s comment on the showjumping ( which is never easy at Weston Park!) was that the deep going suited the more technical jumpers like Marley, Dash and Eddie for example while his big scopey jumpers like Hugo and Uno slightly struggled to get their front ends out of the mud in time to leave the front rail up. Its an interesting theory and those big scopey jumpers are the ones that are top class 5 star cross country horses too! Uno was also not troubled by the cross country which saw many of the intermediates walk home but wasn’t quite as settled as Tim wants him so he will probably have a spin round Burnham Market before his Badminton debut. 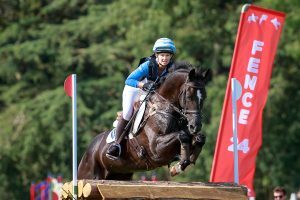 Clara M is new to the team and she hasn’t run since May last year, just before Jonty Evans had his life turned upside down with his fall at Tattersalls. 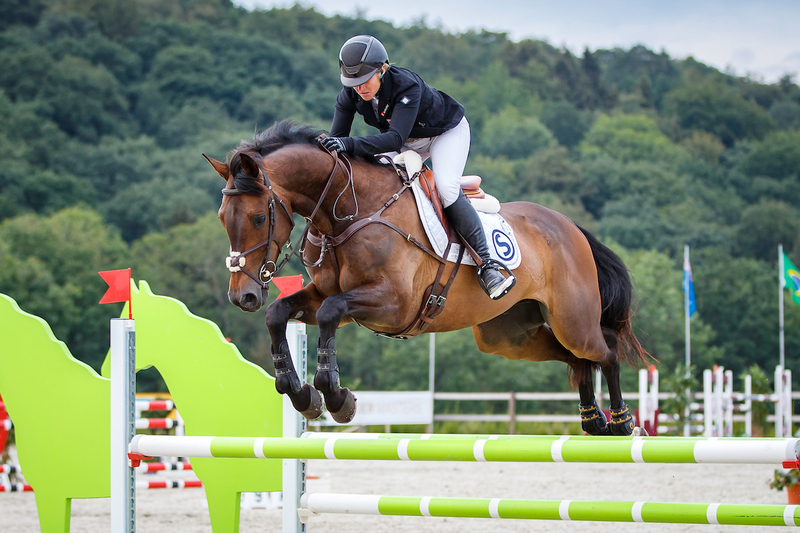 Tim and Clara have started to build a good partnership and in Spain she was the only horse not to touch a single rail over the three weeks of competition which is seriously impressive. A 33 and a solid clear left that record intact and they headed out cross country to get to know each other a bit better. They did pick up a 20 at the notorious skinny to coffin to skinny combination which was the most influential on the track but Tim said they learnt allot about each other and Clara genuinely just misread the coffin part. Wesko ( Dash) began his 2019 campaign at Weston as well and he was “very lively” on the flat which resulted in a 28.9 dressage and then he, of course, showjumped clear. He then popped round the cross country in schooling mode for some 28 time and was exceptionally strong! Everyone asks about Tim’s knee after his unscheduled operation but he says it was his arms that were burning at the end of Dash’s round! Its typical Dash though.. he has always started out strong and then as the season moves on and the fences get bigger he starts to settle down. Its good to know he feels the same as always as when Dash is on form good things happen.